Get a FREE Redbox Game Rental! 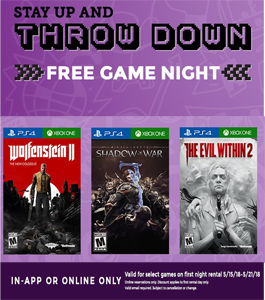 Valid for these select games on first night rental from May 15 – May 21. You just need to select the game and add it to your cart and the discount will automatically apply. Works via app or website only.